Please describe in as much detail as possible what you would like to have designed. We will contact you to go over the details of your design along with pricing. Accepted file types: jpg, gif, pdf, tif, psd, ai, indd, png, doc, jpeg. If you need to upload any files that you feel may help with your design request (such as logos, sketches, or photos), you may upload them here. If you'd like to upload your files at a later time, you may do so by emailing them to orders@brachaprinting.com. You may proceed to add your product to the Cart. PLEASE NOTE: Files must be in a CMYK color space and at least 300 dpi in resolution. We recommend at least a 1/8" (.125") bleed from the cut line. 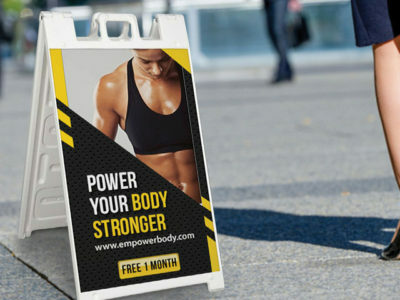 Only Banner and Large Format Products should be provided at exact size. Do you need to upload additional files? 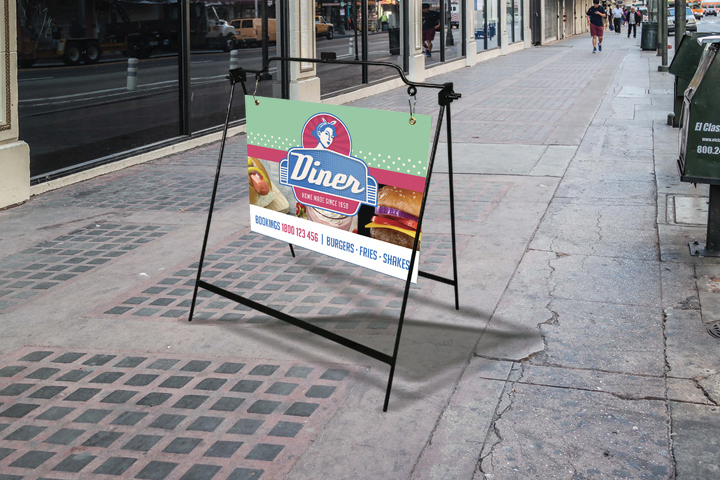 Easy to assemble Sidewalk A-Frames from Bracha Printing hold 24″ x 18″ Coroplast Signs which hang conveniently from the top of the frame using the included clips. 24″ x 6″, 4mm. Grommets are placed at the top sides of the Coroplast sign. 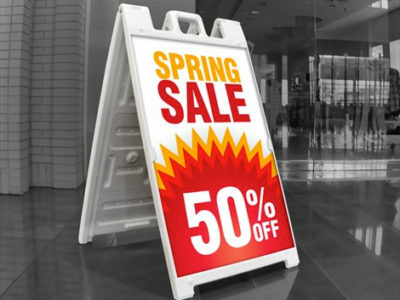 Coroplast sign comes withs vertical ridges. Can easily be switched out with other Coroplast signs. Perfect for Real Estate agents and outside mom and pop shops.